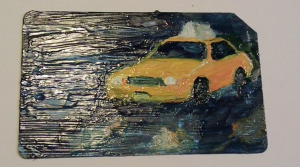 Art by Victoria Hunter McKenzie, who paints New York iconography on the back of used Metropolitan Transportation Authority (MTA) MetroCards. She was approached by MTA officials in April with concerns regarding copyright infringement. Photo by Eva Saviano. Until recently, no one had really heard of Victoria Hunter McKenzie. But she—and her now infamous MetroCard oil paintings—just got a huge media boost. The East Village blog EV Grieve, and the much larger news blog Gothamist reported on the Metropolitan Transportation Authority’s (MTA) effort to discuss a licensing deal and fee with McKenzie. As misappropriated use of MetroCards and other transit materials has become increasingly common, MTA officials have had more run-ins with artists like McKenzie. Peter Drake, Dean of the New York Academy of the Arts, or the NYAA, said the first artist he knew to paint on MetroCards was NYAA student Imogen Slater. Slater, 33, came to New York from England in 2009 to earn her graduate degree in painting from the NYAA. Lower East Side gallery Sloan Fine Art hosted Single Fare 2 in March, the second annual exhibit of artworks done on MetroCards featuring more than 2,000 submissions. 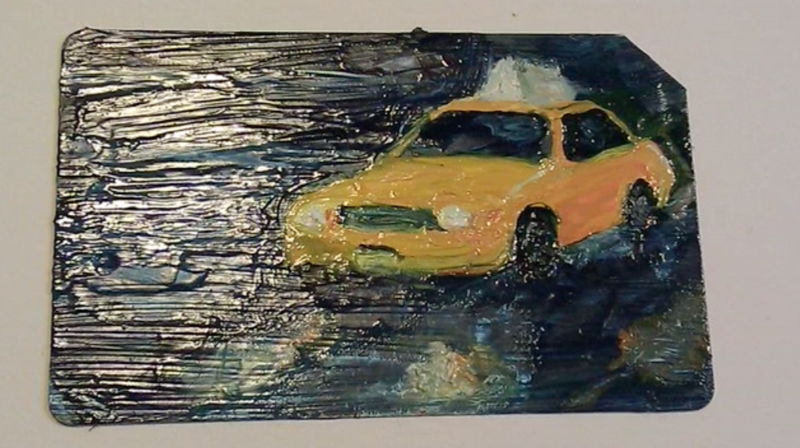 A painting by Victoria Hunter McKenzie on a discarded Metropolitan Transportation Authority (MTA) MetroCard. She saw a boost in sales after a recent run-in with MTA officials over copyright infringement. The same could not be said for McKenzie. Three weeks ago, she received a letter from MTA that indicated her work infringed on its copyrighted intellectual property. The letter—signed by an intern at the corporation’s marketing department—stated MTA believed her work made inappropriate use of the MetroCard brand and logo. Panicked by the accusations, McKenzie removed all MetroCard-related items from her website. 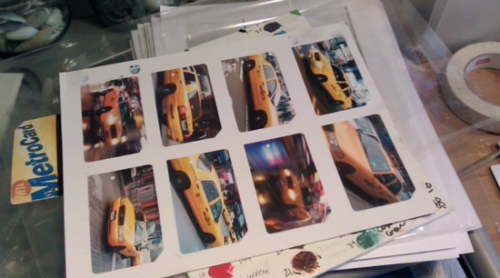 She later reposted the MetroCard paintings yet removed a “before picture” showing an unpainted card. McKenzie also avoided all occurrences of the word “MetroCard,” opting instead for phrasing such as “New York transit card,” and included a legal disclaimer indicating that her work is in no way endorsed by MTA. McKenzie communicated her frustration on her personal blog, The Night Shift. The post soon garnered media attention from several news outlets, including The Village Voice and The Wall Street Journal. The coverage ironically sparked her first business sale. McKenzie is a computer graphics artist for ABC News and considers art a side project. She thought the use of MetroCards would be an interesting new medium. Sabina Sosa discovered McKenzie’s work when she read about her conflict with MTA. John Breznicky, a New York City artist who also use Etsy.com to sell poster-sized abstractions of a subway map, received a warning notification from MTA similar to that of McKenzie’s. Breznicky revised his Etsy listing to exclude the words “MTA” or “New York City subway” and has not been contacted again by MTA. McKenzie said Mark Heavey, MTA Chief of Marketing and Advertising, told her the issue was not that she painted the cards, but that she used the MTA logo in her marketing. She has not heard from MTA since the revision of her site, The Night Shift. McKenzie sold all of her transit card art and has been commissioned to paint more.